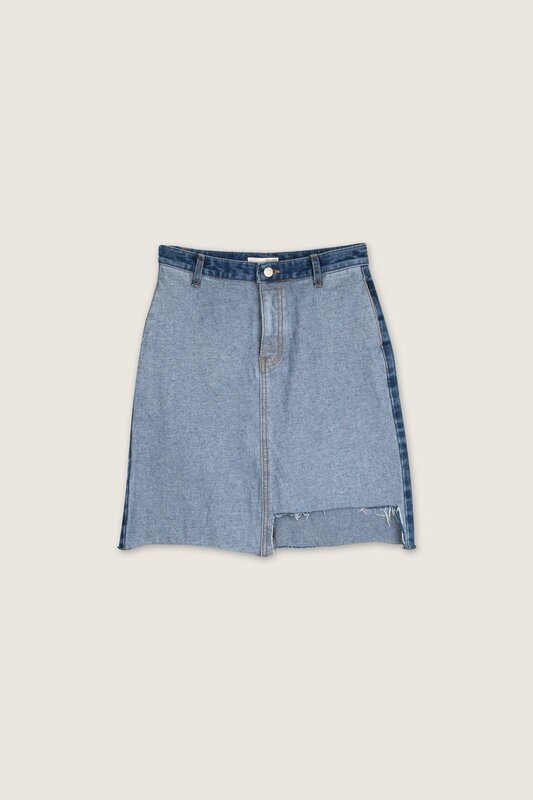 This denim skirt features a contrasting front and back and is all about the details. 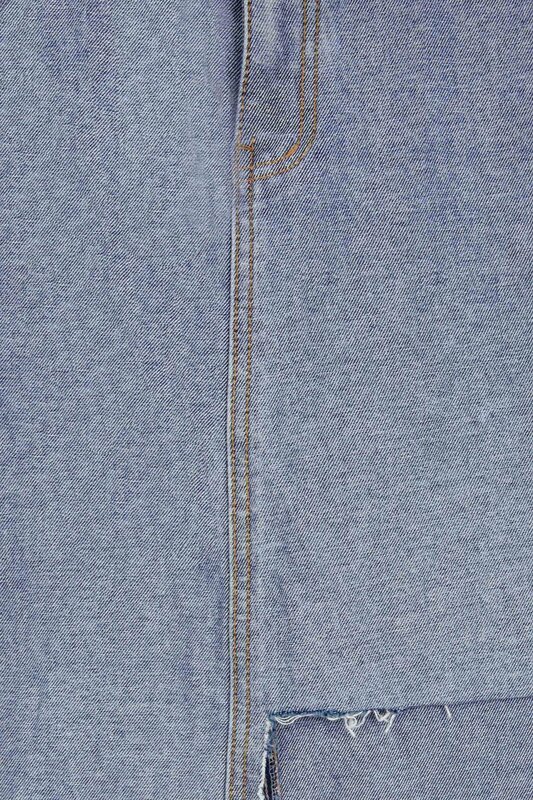 The front features an edgy cut-out design near the bottom of one side for an asymmetrical look while the back features a bottom-slit and slight distressing on the pockets. The raw and frayed detailing on the hems and the "inside-out" look of the front give this skirt a cool, deconstructed vibe. Pair with a turtleneck sweater, leather jacket, and ankle boots for an effortlessly chic fall look.